Fashion Island Koi Pond was painted live at a solo art show held at the Lincoln Experience Center at Fashion Island and completed in her studio. Fashion Island Koi Pond was painted live at a solo art show held at the Lincoln Experience Center at Fashion Island and completed in her studio. 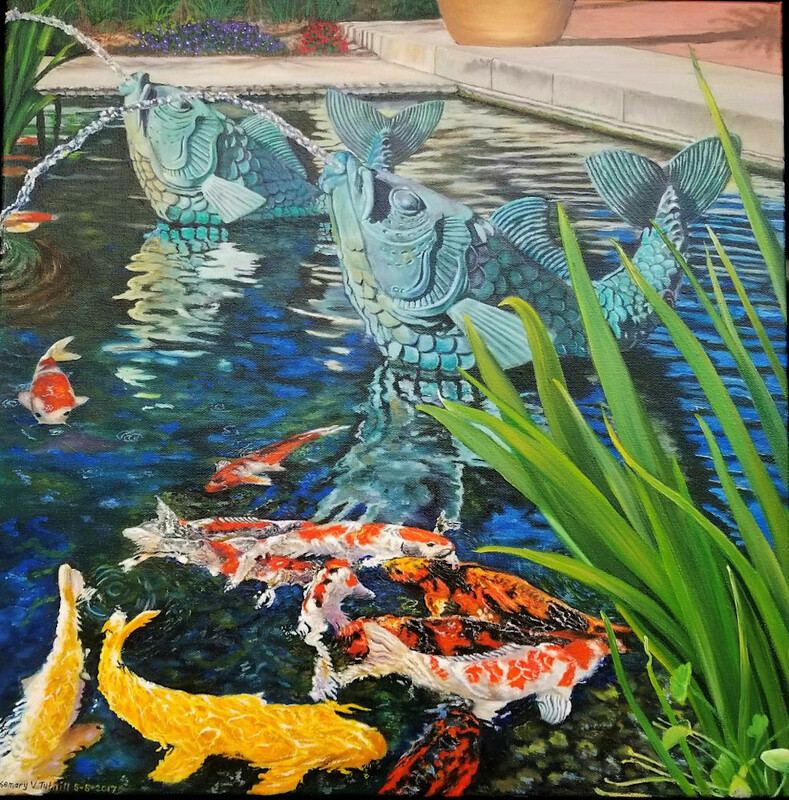 This painting captures the rich tones of the patina of the water spouting fish and the Koi that inhabit the pond.